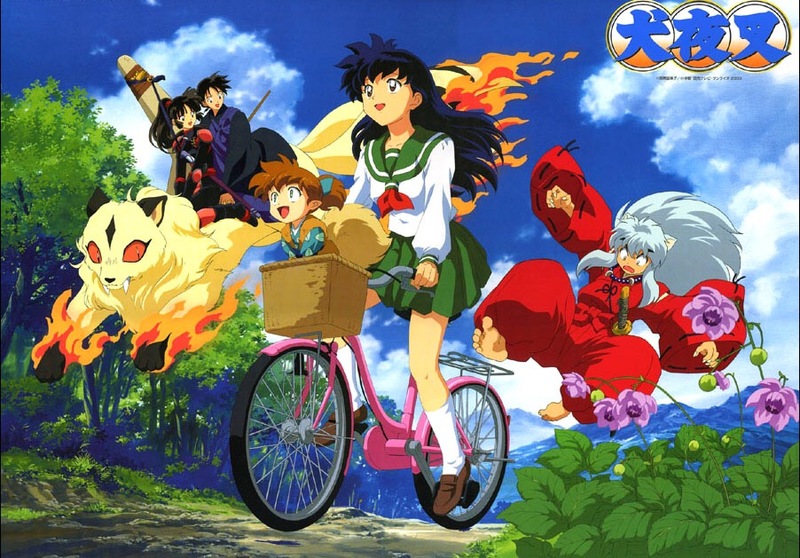 Day 30: An anime you wish never ended and continued on? So here we are on day 30 the last day of the challenge and this question was surprisingly easy. 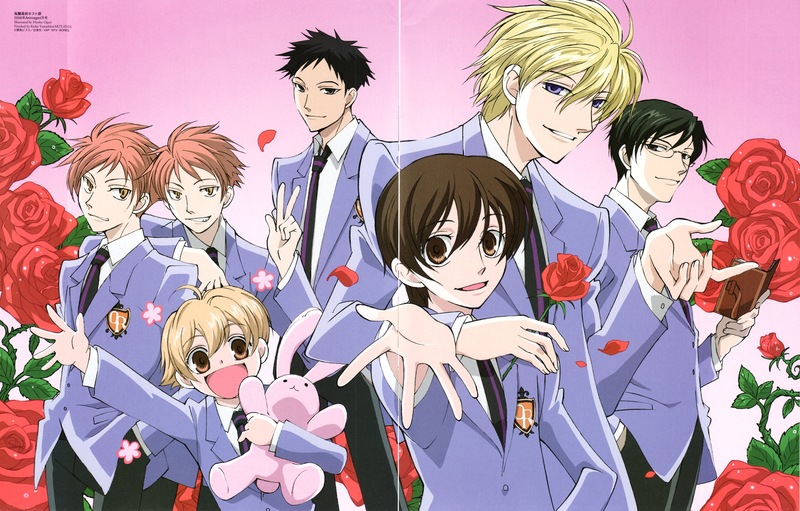 The anime that I wish never ended would have to be Ouran High School Host Club. I chose that and because I feel like it could have continued with all their crazy antics. They always have something random going on so I could always see them coming up with something different. Plus it would be awesome to see all the romance happen between the hosts and then trying to fight for Haruhi’s love. Alright so I have completed the anime 30 day challenge! Yay!!!! So comment below your answer also to this question because I love reading your comments. Day 28: Favorite quote from any anime character? I love anime quotes so this question once again took some research to find a quote that I really liked and actually struck a cord with me. 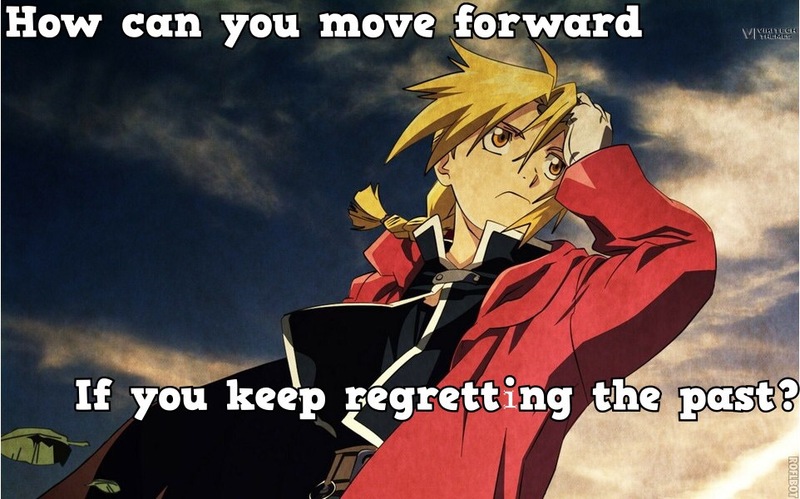 The reason why I like this quote is because you honestly can’t move forward with your life if there is something in your past that is holding you back. It pretty much a reminder that you should leave the past where it is and let it go or at least learn from it. Don’t let it stop you from doing that you want or need to do. Don’t let your past stop you from chasing your dreams, falling in love, or conquering a fear. So there ends day 28 which means there are 2 days to go. I’ve really enjoyed this so far. But let me know below what your favorite anime quote is. I would love to know! Day 27: Most Badass Scene From Any Anime Character? So of course like most of these challenges it took me a long time to figure out what kind of answer I would give for today’s challenge question. But I finally came up with an answer. 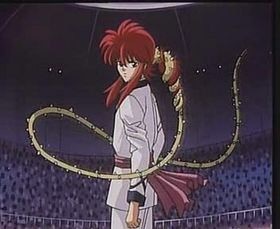 So for me the most badass scene had to be when Kurama from Yu Yu Hakusho during the Dark Tournament arc had to fight in 3 fights back to back. That was just super awesome because he used moves and techniques that he had yet to use before. You got to see his full power which was really cool and had me wanting to watch it over and over. To be honest it’s actually one of my favorite scenes in Yu Yu Hakusho and an episode that I go back and watch over and over again. But how about you guys. What is the most badass scene you’ve seen from an anime character? I would love to know! So there ends day 27 which means there are only 3 days left! Day 25: Saddest Anime Death? 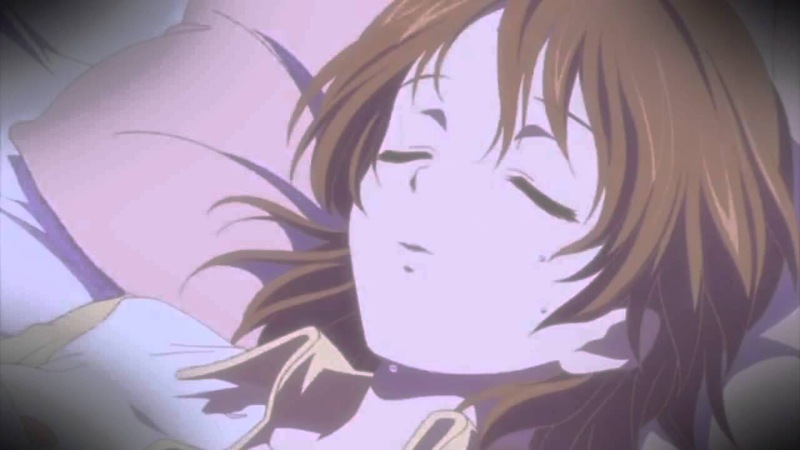 So there were a few deaths in anime that made me sad but I had to choose one and also separate it from saddest moments but I finally came up with one. So for my saddest death it is a spoiler for Clannad After Story so if you haven’t seen it yet, are currently watching it, or plan to watch it then you may want to skip today’s post, but if not then keep reading. 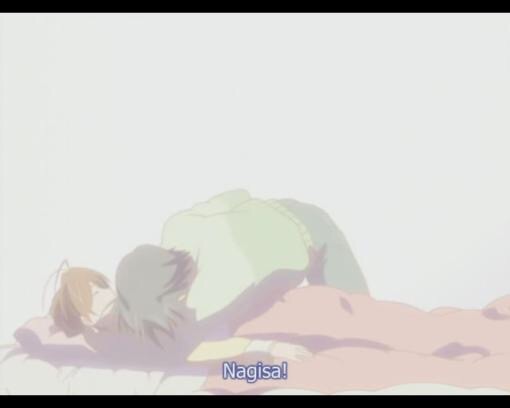 So what I chose for saddest death was Nagisa’s death in Clannad After Story. 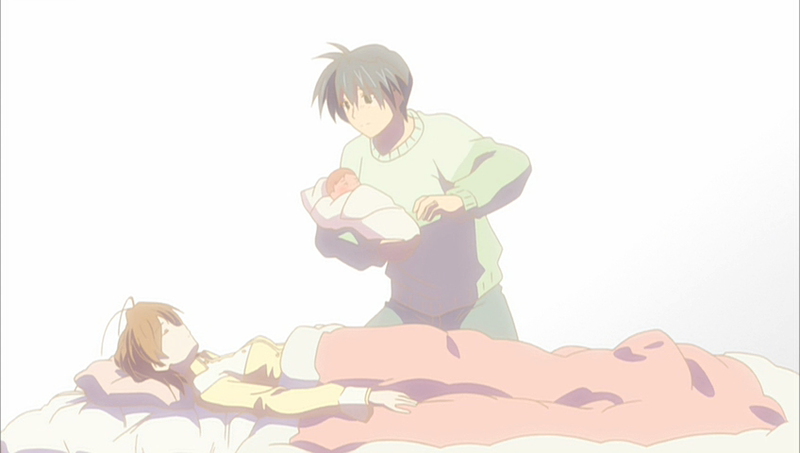 It was so unexpected that I didn’t know what to think and all I could think was oh no what’s going to happen to Tomoya and also to their new baby girl. The death of Nagisa definitely made me cry and shed more than a few tears. Especially when Tomoya started to cry and sounded so heart broken. That just made me cry even harder. So there ends day 25….whew this 30 day challenge is almost over. But below in the comments let me know what was the saddest death in an anime for you. Day 24: Moment That Shocked You The Most In Any Anime? This took a lot of thinking since I’ve seen a few anime’s that left me shocked but I finally decided on one. Of course it had to go to a thriller or mystery anime since those always leave the viewers shocked at some point. But I decided to go with Mirai Nikki (The Future Diary). The part that I’m going to talk about is a spoiler for the series so if you haven’t seen the series, are currently watching it, or plan to watch it stop reading here. But if you don’t mind spoilers, have already seen the show, or don’t plan to watch it then continue reading. Anyways though, the part that was most surprising has to be when you find out that she is the 2nd Yuno and that the original Yuno had actually died. That really blew my mind and made me have a WTF moment. Not many anime’s can cause me to do that so good job Mirai Nikki! There are other surprising moments in that series but that was one that definitely stuck out for me. So if you like be surprised or just love thriller it mystery anime’s then watch Mirai Nikki! I’m sure you will love it! So there ends day 24 of the 30 day anime challenge and I hope you all enjoyed it. But what anime moment really surprised you? Let me know by commenting below. 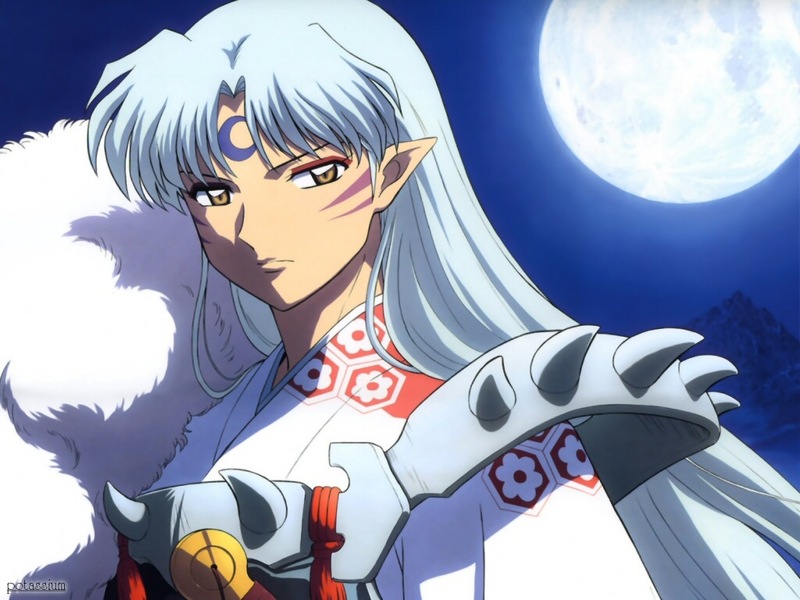 Day 23: Favorite Attack Someone Used In An Anime? 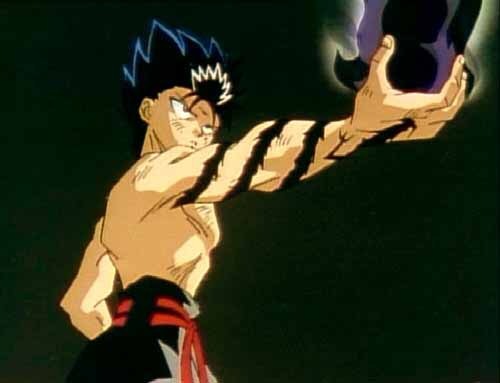 My favorite attack that was used in an anime has to be Hiei’s Dragon of the Darkness Flame Attack! When Hiei first did that attack during the dark tournament arc of Yu Yu Hakusho it automatically became one of my favorite attacks that was used during that arc. 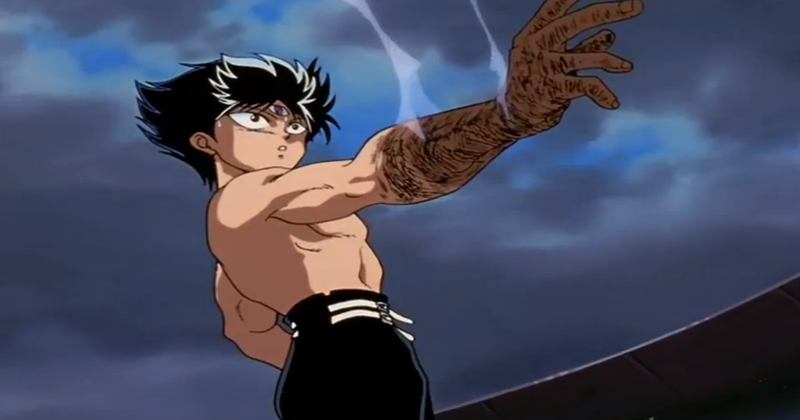 Although the attack leaves Hiei’s arm looking like chard piece of meat (yuck it definitely does its job since when it was used his opponent was just nothing but cinders. So that's the end of day 23 and we are almost at the end of this 30 day challenge. But what is your favorite attack that has been used in an anime? I would love to know!